Currency tokens represent an amount of a purely digital currency generally using a blockchain technology. The best-known example is Bitcoin. Currency tokens were created as an alternative to the existing monetary system. Their creation and reproduction does not depend on the political considerations of a central bank but on parameters previously defined in the digital program code. Currency tokens have no intrinsic value but get their value solely from user trust. They are no currencies in the proper sense, comparable to euros or dollars. Unlike state-issued legal tender, also referred to as "fiat money", Bitcoin, Ripple and the like are not accepted as conventional currencies and therefore require different legal treatment. a growing tendency seeking to attach additional functions to currency tokens has developed under the heading of "additional benefits". Such a benefit could be the use of storage space in the net or provider-specific services like the use of advertising platforms. Whenever such additional benefits in the code or network are attached to a currency token, the result may be hybrid token possibly subject to the regulations applicable to utility tokens. Below, we first describe currency tokens in pure form as pay coins. Companies generally issue their own coins against payment of Bitcoin, Ether, or fiat money. These coins can then be used or traded by the recipient. Although in many cases their structures are no longer as decentralized as in the Bitcoin network, pay coins most closely correspond to the original idea of Bitcoin, which was to serve as an alternative to the present currency system. From the point of view of the investor, the payment made to the company when investing in an ICO is a financial support to that company. The investor acquires no right to consideration. Provided the value of the currency increases or remains at the same level, the investor will, at least, not suffer any disadvantage. If the crypto-currency loses in value, however, the investor also loses his "purchasing power". In principle, an ICO gives the issuer of the coins an opportunity to quickly earn a lot of capital for financing his undertakings while assuming no legal obligations. As the revenues collected by the issuer in this way constitute income for the company, they are relevant for tax purposes. trade tax, which depends on the company's domicile. In Germany's five largest cities, trade taxes range from around 14.35 to 17.15 percent. A few cities have very low tax rates of only 7 percent. But issuers are exempted from value added tax. Hence, in terms of taxation, currency tokens are clearly more attractive for use in an ICO than utility tokens, which are additionally subject to value added tax. Are issues of currency tokens subject to authorization? In 2017, the Federal Financial Supervisory Authority (BaFin) qualified Bitcoins and similar cryptocurrencies as "units of account" within the meaning defined in the German Banking Act (Kreditwesengesetz; "KWG"). In the absence of a more detailed specification, this assessment is generally assumed to apply to any tokens and coins used as means of payment. Although this is no basis for regulating issues of currency tokens through ICOs, it is necessary to carefully examine whether authorization requirements arise from the specific structuring. Usually no authorization requirements will arise for pure currency tokens. If, however, other conditions apply in addition to their use as means of payment or the mining of payment tokens, an authorization by Bafin may be required – especially, if a market is created on which the tokens are traded. Commercially re-exchanging Bitcoins for euros basically requires an authorization pursuant to Section 32 (1) of the German Banking Act. 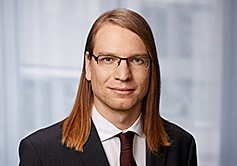 In September 2018, the Supreme Court of Berlin ruled that Bitcoin is no unit of account and that consequently authorization requirements under the German Banking Act are out of the question. This decision will rekindle the debate on the regulation of cryptocurrencies. By so-called no-action letters, issuers can seek confirmation from Bafin that their ICO does not qualify as a transaction subject to authorization. A prospectus requirement that may apply in case of issues of security tokens can be ruled out for currency tokens. The exemption from value added tax makes ICOs with currency tokens particularly attractive for issuers. The low regulatory requirements are also an argument in favor of these tokens. This means that in many cases, companies face much less restrictions as concerns the structuring of their tokens or ICO than they would for other types of tokens. The fact that the issue of currency tokens does not entail a repayment obligation on the part of the company, certainly also serves the purpose of raising capital. However, the coins issued often provide no additional benefit, unless they have special features in addition to being a means of payment. Therefore security or utility tokens are mostly much more attractive for investors. This is also due to the easier marketing. If you wish to use an ICO for raising capital, our experienced crypto team will be pleased to assist you with all necessary steps. In the last few years, we already successfully supported numerous ICOs and will be pleased to represent you in all dealings with supervisory or financial authorities. Please do not hesitate to ask us for a first assessment. The easiest way to reach us is by e-mail (info@winheller.com) or by phone (+49 69 76 75 77 80). We are looking forward to hearing from you. How Can German Companies Implement Cryptocurrencies as a Means of Payment?